David Keith is a married man. He is married to Nancy Clark who is a realtor. The pair married on 15 April 2000. They have two children together: Presley and Coulter. The couple’s marriage is going strong as there is no news regarding any extramarital affairs at present. 1 Who is David Keith? 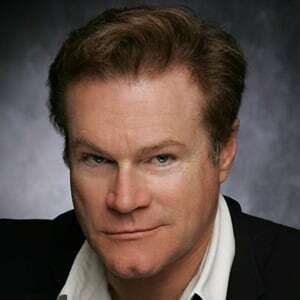 David Keith is an American actor and director. People mostly know him for his role as an aspiring Navy pilot Sid Worley in ‘An Officer and a Gentleman.’ Additionally, he has also appeared in several other movies and television series like ‘The Lords of Discipline’, ‘Firestarter’, ‘Hawaii Five-0’ and ‘White of the Eye’ among others. Keith was born as David Lemuel Keith in Knoxville, Tennessee on May 8, 1954. He was born to parents Hilda Earle and Lemuel Grady Keith, Jr. His mother was a worker for the Knox County Board of Education and his father worked as a personnel division worker for the Tennessee Valley Authority. David is of American nationality. Furthermore, there are no details available about his ethnic background at present. Talking about his education, Keith attended the University of Tennessee and graduated with a Bachelor of Arts in Speech and Theater. Keith initially had several minor roles in TV series and movies like ‘Are You in the House Alone?’, ‘Happy Days’, ‘Friendly Fire’, ‘The Runaways’, ‘The Great Santini’, and ‘The Rose.’ He played the role of Tuck in the TV-Mini-Series ‘Co-ed Fever.’ Additionally, he also appeared as Larry Lee Bullen in the movie ‘Brubaker’ in 1980. In 1982, he had the role of Jack Parker in the movie ‘Independence Day.’ Since then, he has appeared in several other movies and television series. All in all, he has over 100 credits as an actor. 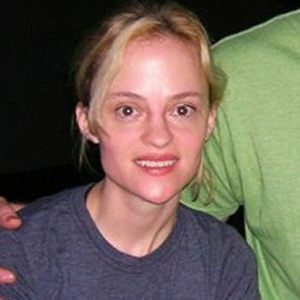 Some other movies and television series that Keith has appeared in include ‘Madhouse Mecca’, ‘Hammer: The ‘Rootin’ for Regen’ story’, ‘All Saints’, ‘Real Good People’, ‘Reckless’, ‘Christian Mingle’, ‘Nikita’, ‘Lone Star’, ‘Beneath the Blue’, ‘CSI: Miami’, ‘Boys of Summerville’, ‘The Class’, ‘Expiration Date’, ‘Law & Order: Criminal Intent’, ‘Come Away Home’, ‘Raise Your Voice’, ‘The Kings of Brooklyn’, ‘Still Life’, ‘Deep Shock’, ‘Hangman’s Curse’, ‘Mother Ghost’, ‘Clover Bend’, ‘Anthrax’, ‘Burning Down the House’, ‘Men of Honor’, ‘Walker, Texas Ranger’, ‘A Memory in My Heart’, ‘The Outer Limits’, ‘High Incident’, ‘Judge and Jury’, and ‘A Family Thing’ among others. Furthermore, David also has 3 credits as a director and a credit as a producer. Keith has garnered two Golden Globe Award nominations. Additionally, he has also won the ShoWest Award. In 2017, he received the nomination for Festival Award in Great Lakes Christian Film Festival. Keith has not revealed his current salary. However, he has an estimated net worth of around $ 1.5 million at present. Keith has not been involved in any notable controversies in his career. Furthermore, at present, there are no rumors concerning his life and career. Talking about his body measurement, Keith has a height of 5 feet 11 inches (1.8 m). Additionally, his hair color is dark brown and his eye color is blue. Keith is not active over social media. He does not have his official Twitter account. Additionally, he is not active on Facebook and Instagram as well. 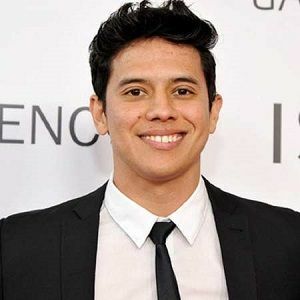 Also know more about the early life, career, net worth, relationships, and controversies of other actors like Joe Alaskey, Lee Majors, Rio Mangini, Vince Vaughn, and Logan Lerman. Japanese DJ Mayumi Kai arrives for her ex-husband, Keith Flint’s funeral in Essex!